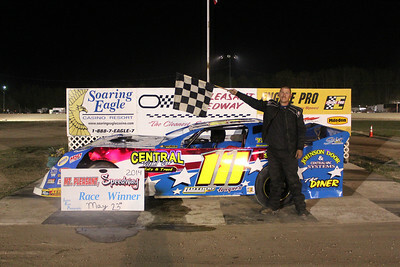 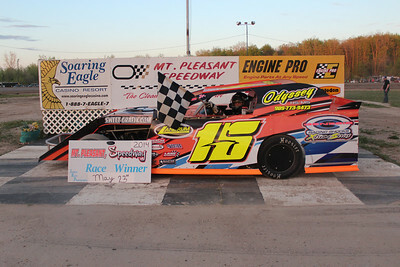 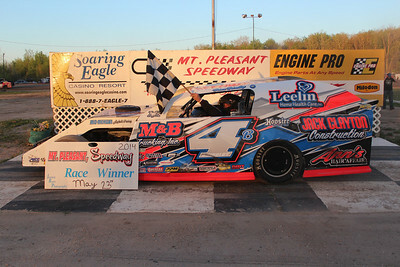 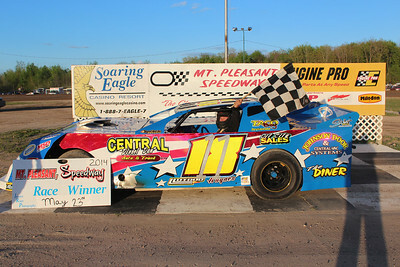 Heat race winner #15 Rich Robinson Jr. 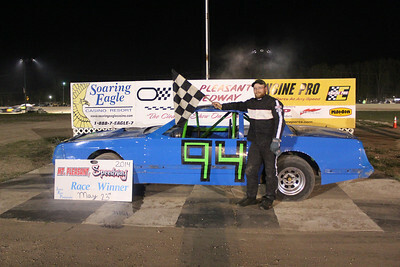 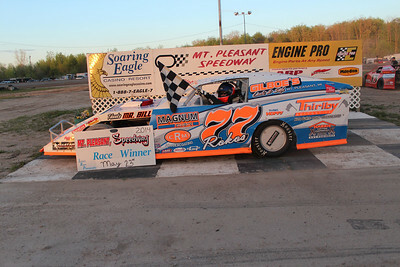 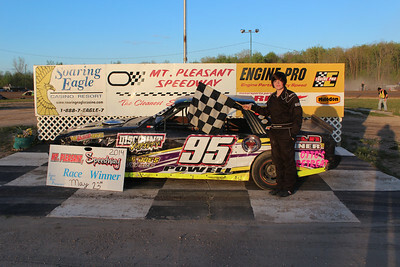 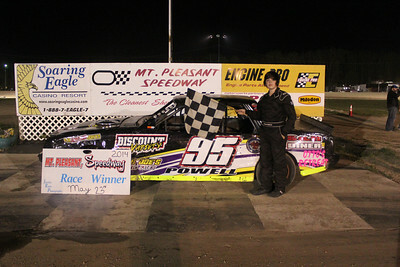 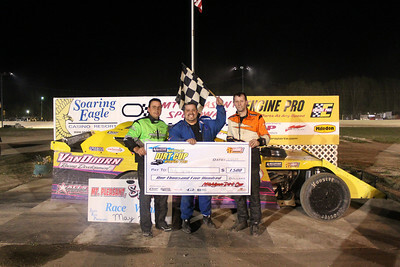 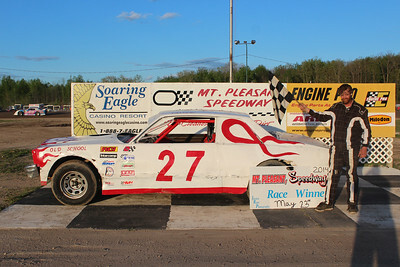 Feature winner #1 Andy Sprague (middle). 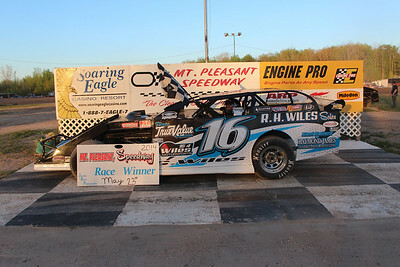 2nd place #15 Rich Robinson Jr. (right) and 3rd place #19 Chad Bauer.